Last week I highlighted some of the new comedies and dramas coming to screens in September to kick off the new season of television. This week I shall be doing the same but I will be looking at the returning shows that you should perhaps keep an eye on for various reasons. Today I will be focusing on drama with comedy coming up on Thursday. Sons of Anarchy should be the first of my chosen shows to make it’s return in early September. For those that don’t know, this is Sons of Anarchy’s seventh and final season which should bring an end to the chronicles of Jax and the Sons of Anarchy MC. The fact this is Sons of Anarchy’s final season is the main reason I want to highlight this show. It is my opinion that the last two seasons has seen the show spinning it’s wheels (hurhur, see what I did there?!). Season four was the peak of the show’s run in my opinion. It was a great mix of intrigue and action which I felt saw the show live up to it’s Hamlet inspired roots. Were it not for a frustrating final episode, I would actually be tempted to call it a perfect season. Since then, Sons of Anarchy has taken it down a fair few notches and I believe this final season will be the one which dictates the show’s legacy. Hopefully the show will pick up and it has the goods to do that. The sixth season finale left a huge rift between the two biggest characters. As well as that, the big question is what will Jax do now that he has lost Tara. His long gestating plan of leaving with her and the kids for a better life has taken a huge blow. Is Jax destined to remain with the club forever or is he destined to be like his father and a victim because of the club? Another show coming to an end this season will be Boardwalk Empire. This show has never been the most celebrated of HBO’s catalogue like it’s predecessors The Sopranos, Deadwood, The Wire etc. But over the last five years it has quietly plodded along creating great drama and looking fantastic (I love the production design of this show). Boardwalk Empire has slowly amassed it’s own little universe during it’s four seasons so far with action spread out across Atlantic City, New York, Chicago, intermittently Philadelphia and Florida, the black population, America’s politicians and most recently, the precursor to the FBI. Now all these dominos that have been lined up can be knocked down in dramatic fashion to create a brilliant season for the show to bow out with. The biggest change for Season five is the time jump of seven years to 1931. This unfortunately means that we’re past the St Valentine’s Day Massacre and the Stock Market crash but there’s a chance the long term effects of these events will be felt even in 1931. The time jump should also mean that we’ll be seeing the old guard (Nucky Thompson, Arnold Rothstein) on their way out while the new boys (Al Capone, Lucky Luciano and Meyer Lansky) should be completing their rise to prominence in gangland USA. Of course all that means that Nucky Thompson’s fate is up in the air and it should be good to see where it lands after Boardwalk Empire completes it’s final eight episode season. 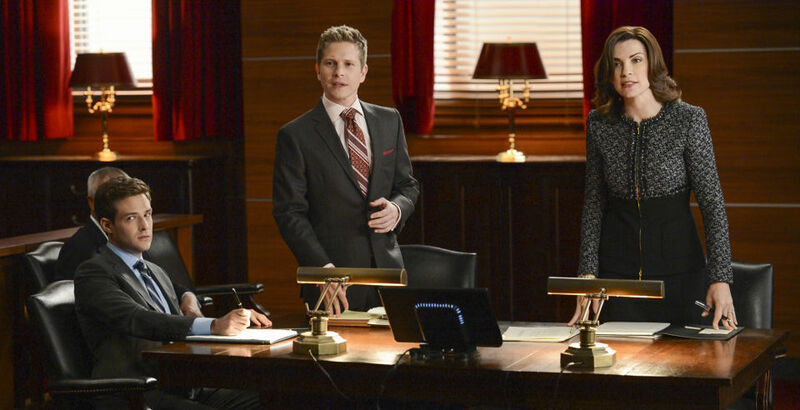 Season five of The Good Wife really shook up the characters and settings of the show. To me it appeared Season four was spinning it’s wheels a little so the business manouaevre of Alicia and Cary breaking away from Lockhart Gardner to set up their own firm was very welcome. Add into that the sudden departure of a beloved character, a new political arena for Peter Florrick and Eli Gold. Top that off with the tantalising proposition of Alicia running for States Attorney and you have a season that took risks, saw them pay off and now will hopefully be capitalised upon going into Season six. The aforementioned storyline with Alicia should fill up at least half of season six while there are still matters to be resolved with the Lockhart Gardner (Or is it going to be called ‘Canning and Lee’ now?) and Florrick Agos quest for supremacy in Chicago law. I’m hoping now that The Michael J Fox Show has been cancelled by NBC, this means that Michael J Fox can be upped to a series regular. While Diane Lockhart’s position within these two firms will give her plenty more material to play with. I’ve realised while catching up on season five that Christine Baranski might just be the best actress on the show though she’s always seemed to fly under the radar. On top of that, I’m hoping the case of the weeks continue to be relevant and gripping. It was enjoyable to see subjects such as the NSA and Silk Road pop up in Season five so I’m looking forward to seeing what the writers of The Good Wife draw upon for season six. 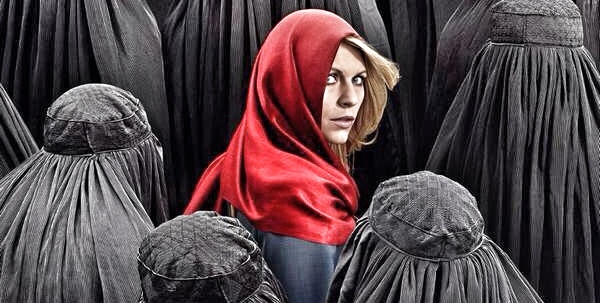 Homeland had an amazing debut season three years ago. Claire Danes and Damien Lewis whipped up a storm and that quality continued about halfway through Season two until the tension of the cat and mouse game came to an end and then Homeland struggled after that. A decent third season saw an end to the Nicholas Brody saga and now the show runner of Homeland promises that Season four will be a different beast. He described Season four’s premiere as being “like another pilot episode”. So what we know so far is that Carrie is now stationed in Pakistan. Saul is still working with her in some capacity. Quinn and Dar Adal are still knocking about with their Black ops dealings and Carrie’s baby has been born (presumably she’s back in America). I felt that Homeland had some of the wind taken out of it’s sails for half of season two and all of season three. It’ll be interesting to see how the writers retool the show in the absence of Nicholas Brody and what political intrigue and drama they can arise for Carrie et al to face. I’m going to call it Shield for the sake of brevity and my own sanity. Shield had a rocky first season. It was arguably the most anticipated show to debut last season and after the premiere’s high ratings, Shield saw it’s ratings dip over the next couple of months. I don’t think this is a reflection of the show’s quality. It was a new show. It needed time to find itself and hit a rhythm. Eventually I felt that it did seem to find it’s voice. The character of Skye was clearly the audience surrogate for delving into the world of Shield but I feel she lacked characterization for a long time (I don’t feel a mysterious and vague back story is sufficient). It didn’t help that she seemed to be working against the rest of the Shield team throughout the series run. Gradually the writers seemed to help her find her way though which culminated nicely with the last eight episodes which picked up in quality considerably and it’s no secret that a part of that was thanks to the lead up and aftermath of the events of Captain America 2. The question going into season two is whether Shield can keep up this quality without the help of a major shift in the Marvel universe to fire things up. My gut feeling is yes. I feel that all the characters have been given more sufficient characterisation, even Ward has improved to some extent (Assuming that he is a fixture of Season two). I’m sure Marvel will be lining up a big bad for the upcoming season that fits in with the Marvel universe and is actually a threatening presence. Let’s face it, The Clairvoyant was a bit bland until Bill Paxton got his chops on him. ABC have been right to allow Shield to develop itself and ignore the early calls of the show being boring and disappointing. I’m hoping Shield will make good on ABC’s patience and will flourish in Season two.